FOR IMMEDIATE RELEASE: Portland, Maine (September 12, 2018) – New England Fights (NEF) will hold its final mixed-martial-arts event of 2018, “NEF 36: Battle for the Gold,” on Saturday, November 17 at Aura in Portland, Maine. Earlier today, the fight promotion announced the addition of an amateur women’s flyweight fight to the card. B.J. Garceau (1-0) is scheduled to face Chelsea Tucker (0-3) at a fight weight of 125-pounds. B.J. 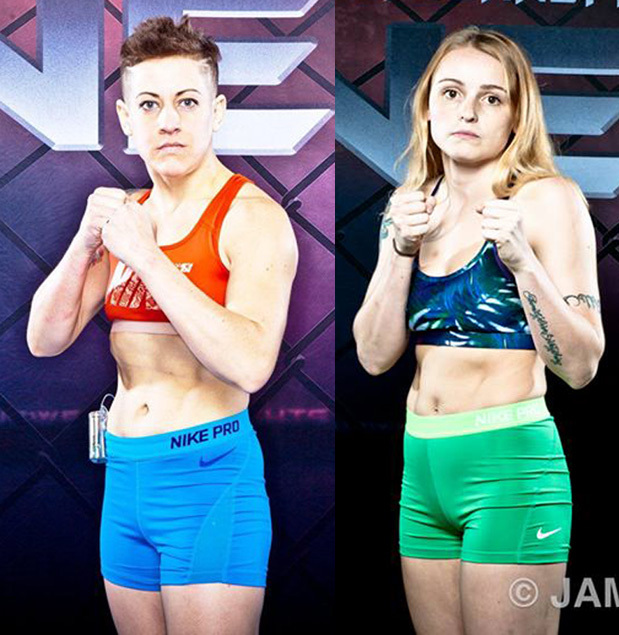 Garceau made national headlines earlier this year as she prepared for her in-cage debut with NEF. Diagnosed with Type-1 juvenile diabetes in 1993, Garceau became an inspiration to those within the diabetic community looking to practice the martial arts. At “NEF 32” last February, she went the distance with Sarah Ziehm (1-2) in a back-and-forth contest, ultimately picking up the win via split-decision on the judges’ scorecards. Garceau is a member of Young’s MMA based in Bangor, Maine. The casual observer should not let Chelsea Tucker’s record fool them. Scrappy, talented and full of heart, Tucker has come to fight each time she has stepped in the cage. She has appeared four times in the NEF cage, including a non-sanctioned grappling match with Carol Linn Powell that went to a draw last April in Portland. Tucker proudly serves her country as a culinary specialist with the United States Coast Guard stationed in Boothbay, Maine. She trains with First Class MMA in Brunswick, Maine.